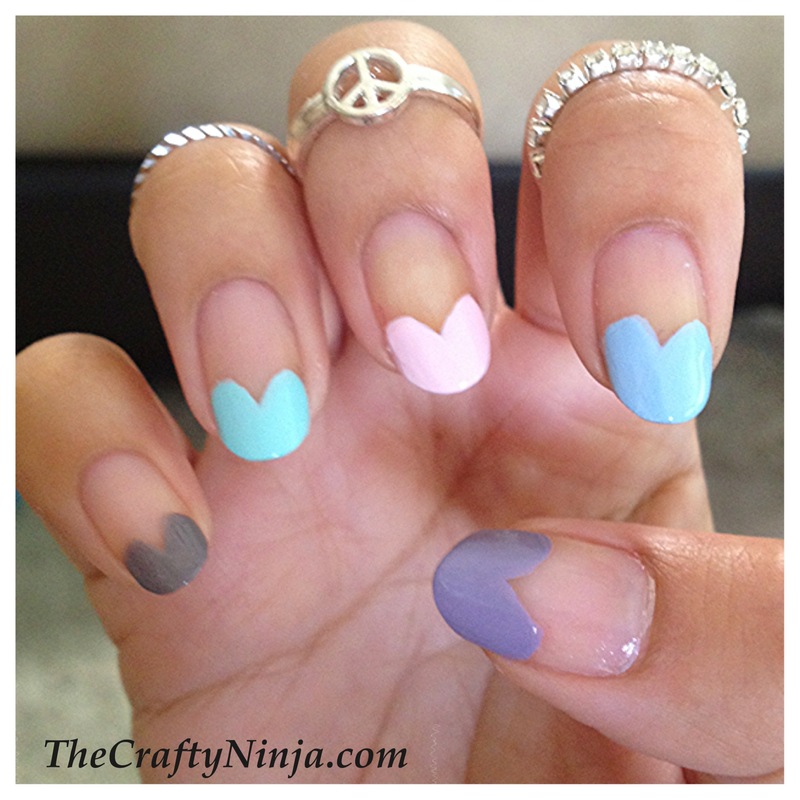 I love this sweet kawaii heart tip nails. 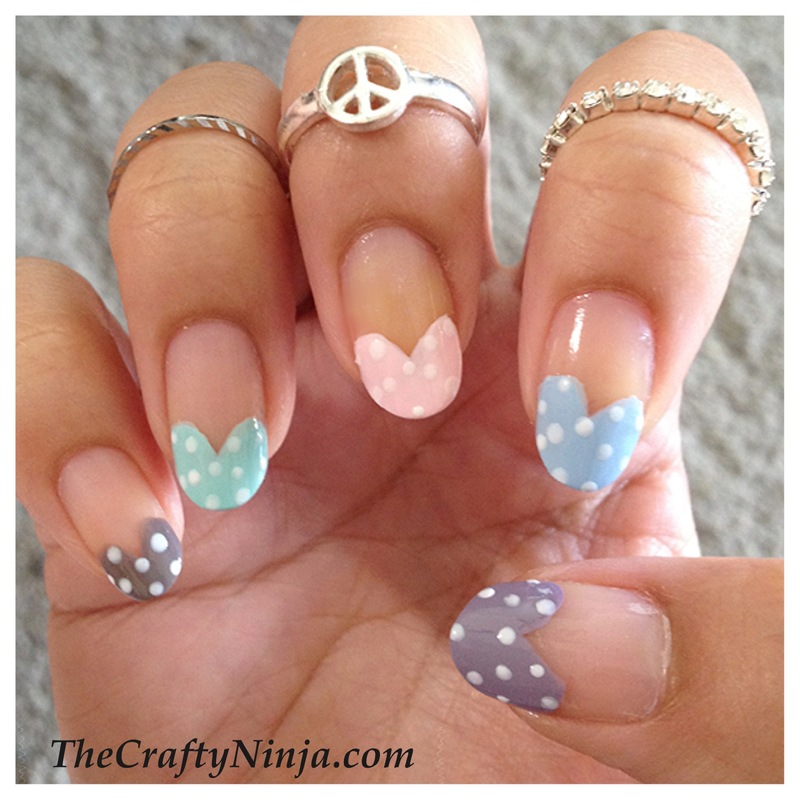 To create this look I used Essie pastel nail polishes for this girly look and to create the polka dots a Nail Dotting Tool, purchased here. 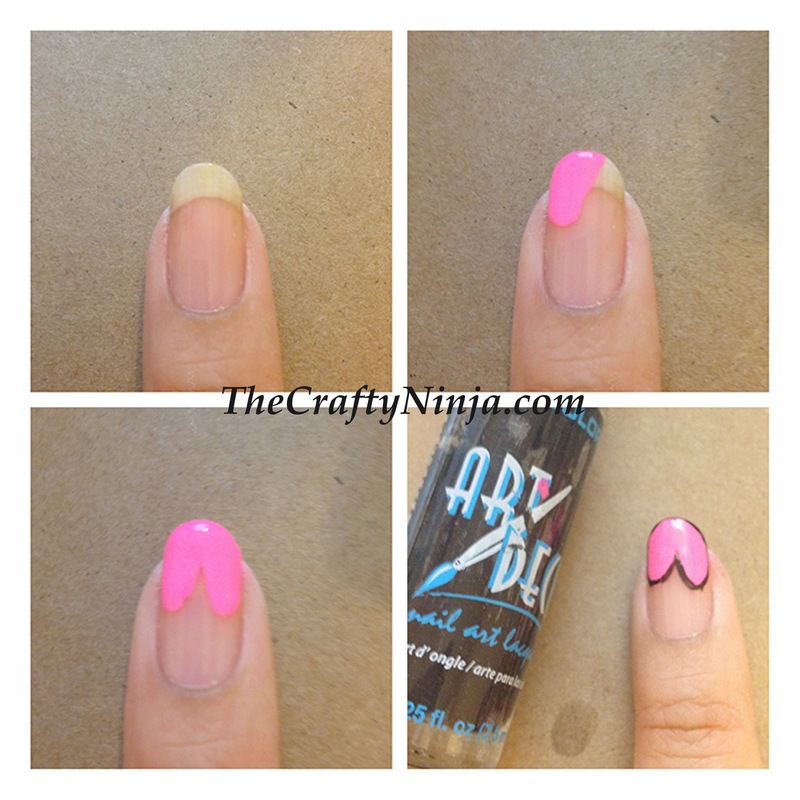 Here is the pictorial to create heart tip nails, in this step I outlined the heart with a LA Color Nail Deco polish. Here is how they look plain: The Essie nail polishes I used from left to right: Essie- Chin Chilly, Essie- Mint Candy Apple, Essie- Fiji, Essie- Bikini So Teeny, Essie- Bangle Jangle. Click on the polishes to purchase. I’m also modeling my knuckle rings.